The Best Kept Secret in Town . 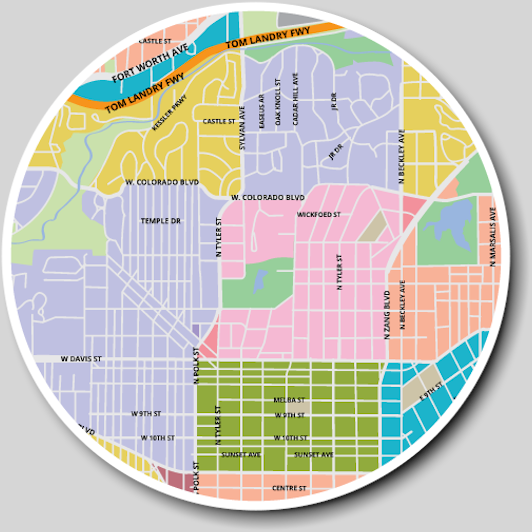 . .
North Oak Cliff and its crown jewel Kessler Park neighborhood have long been one of Dallas’ favorite places for those desiring Rolling Hills, Scenic Views, and Stylish Older Homes; all within a quick commute to Downtown. It also was one of those places that only the ‘In Crowd’ knew about. Well sorry N. Oak Cliff . . . the cat’s out of the bag. No one’s quite sure which was the chicken and which was the egg, but the rise in popularity of Urban Living coupled with the revitalized Bishop Arts District have had a profound effect on the entire N. Oak Cliff Area. New Boutiques, Specialty Stores, and Restaurants of about every flavor make the district a hot spot for locals and visitors. If you’ve been there lately, you probably discovered that the biggest thing missing is a good parking spot. That’s about to change also with the extension of the Trolley Line from Uptown to Downtown and across the Trinity to N. Oak Cliff. While Kessler and Bishop get a lot of the ‘buzz’, many of the other N. Oak Cliff neighborhoods have a bunch going for them also. Fort Worth Avenue and The Belmont Hotel have developed a loyal following in a very short time and continues to grow . Homes in Stevens Park with its challenging redesigned Golf Course are always in demand. Winnetka Heights, with its mature trees and vintage homes harken back to days past. Intown offers a wide variety of Homes, Townhouses, and even High Rise Condos For Sale and For Rent; plus a growing variety of Apartments, in many of neighborhoods of N. Oak Cliff; and across a wide spectrum of style, size, and price. 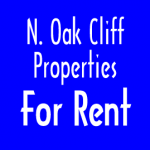 If you are looking for an upscale lifestyle in a veritable oasis in Dallas, then N. Oak Cliff might be an excellent choice. 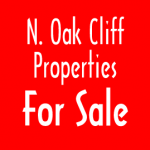 Check out the Listings below to preview some of N. Oak Cliff’s most desirable properties; and then call an Intown Associate to see first hand.